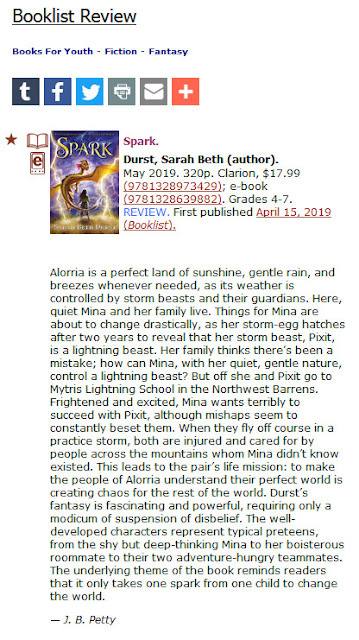 Sarah's Journal: Starred Review in Booklist for SPARK! 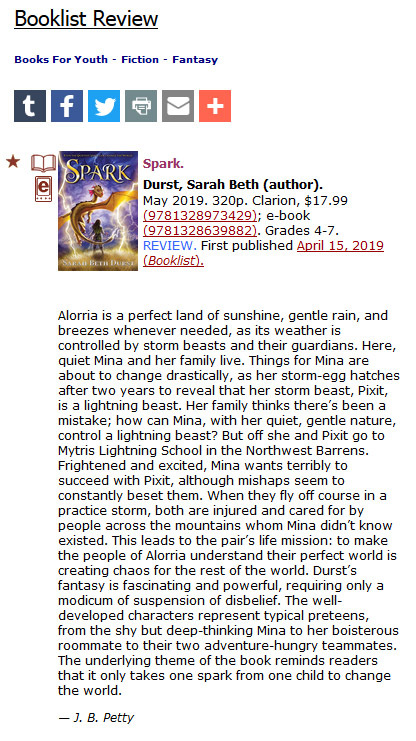 In today's issue of Booklist... A starred review for SPARK, my next book for kids!!! Eeeeee!!! Thanks so much, Booklist! SPARK comes out from Clarion Books / Houghton Mifflin Harcourt in just one month, on 5/14!